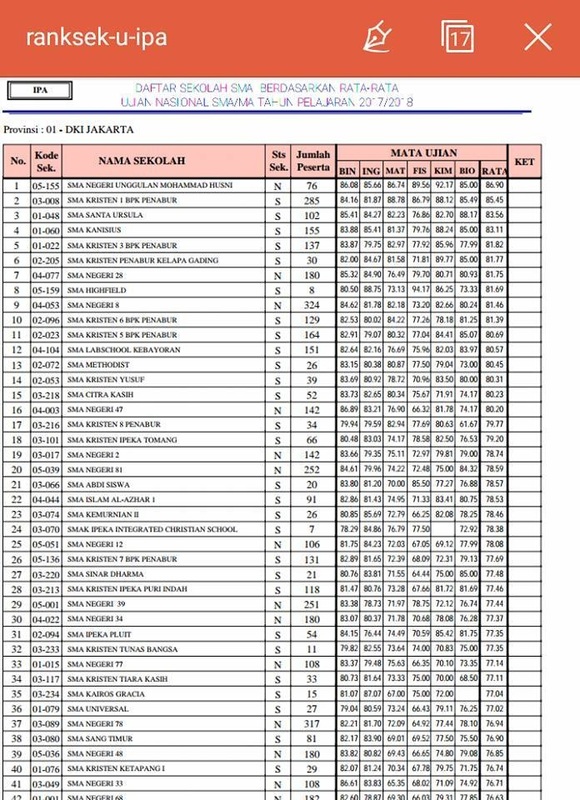 Untuk para siswa atau orang tua silakan berkunjung ke seminar APU Jepang, tahun lalu ada 5 Alumni SMAN 8 yang berhasil lulus seleksi. Berikut informasi seminarnya . Asia Pacific Studies (APS) – Social Sciences and Environmental Studies. Learn more about APS. International Management (APM) – Business, Management, and Accounting Studies. Learn more about APM. Crossover Advanced Program (CAP) – An advanced program that blends the disciplines of APS and APM into innovative new fields. Learn more about CAP. APU offers scholarships to both First-year International students and Transfer International students. Students apply for these scholarships when they submit their application for admission, and applicants are notified of their scholarship results at the same time as they are notified of their Admission Status. For more information about how to obtain these scholarships, please visit Scholarship Selection Criteria. *The admissions fee is a one-time, non-refundable registration fee of 130,000 yen. Tuition reduction scholarships will only cover the least amount of credits needed to graduate within the shortest period of time. Such scholarships will cover 124 credits to be taken in 4 years for first-year students, 94 credits to be taken in 3 years for second-year transfer students, and 62 credits to be taken in 2 years for third-year transfer students. If a student takes more credits, or decides to study at APU for an extra year, the scholarship will not cover the extra costs. 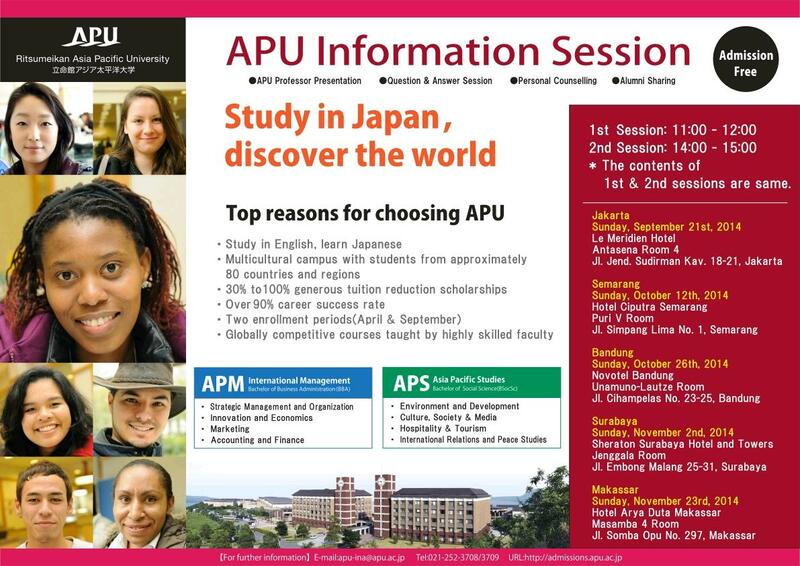 From the pool of applicants, outstanding students will be recommended by APU for consideration for an honors scholarship from the Japan Student Services Organization (JASSO) This is an annual stipend of approximately 600,000 yen, awarded to students with exemplary academic achievements. Students will be notified of acceptance for this scholarship when they are notified of their Admissions Status.